It's a special Easter You've Been Spotted Celebration! 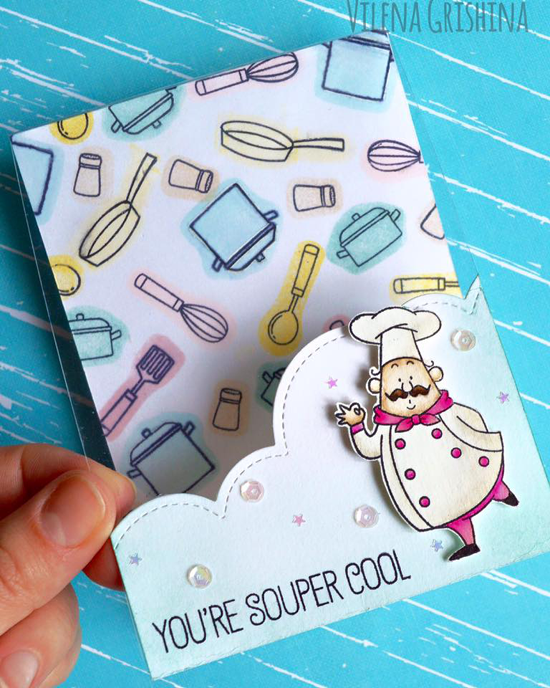 Anuyami created these super sweet mini cards using the Somebunny stamp set and Die-namics. Not only are they adorable, I bet they were very fun to make! 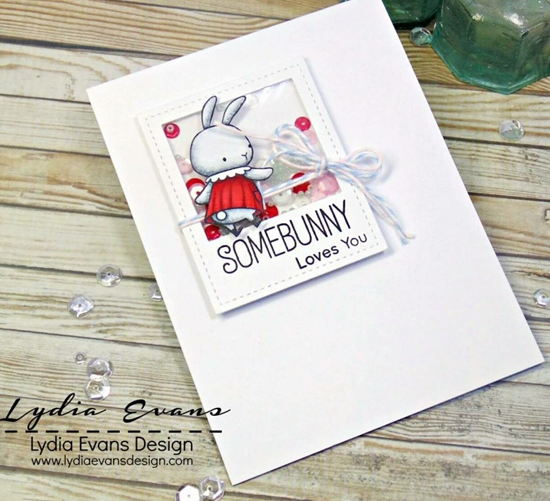 Lydia's use of the Somebunny stamp set and Die-namics is quite darling with the bunny's little red dress and a mini shaker to match. It couldn't be any sweeter, don't you agree? 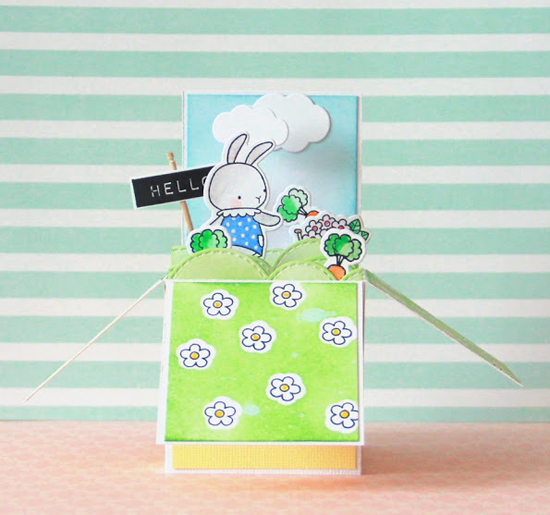 Margarita created an utterly delightful dimensional pop-up box with the Somebunny stamp set and Die-namics. 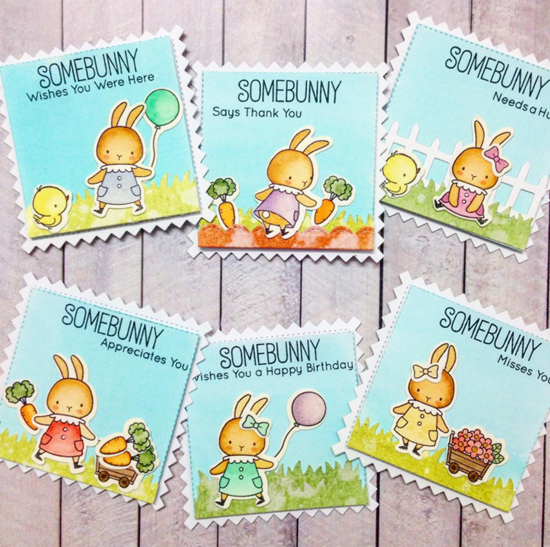 Such a precious way to feature this Eastery stamp set! 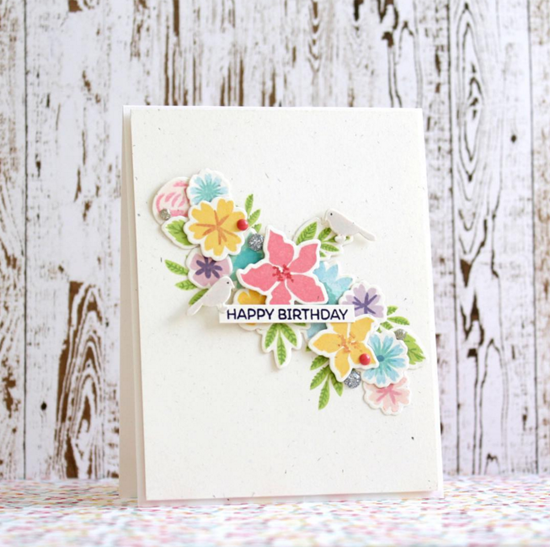 Svetlana created this absolutely lovely bouquet of spring flowers using our Mini Modern Blooms stamp set and Die-namics. Did you notice the tiny white bird perched upon one of the leaves? 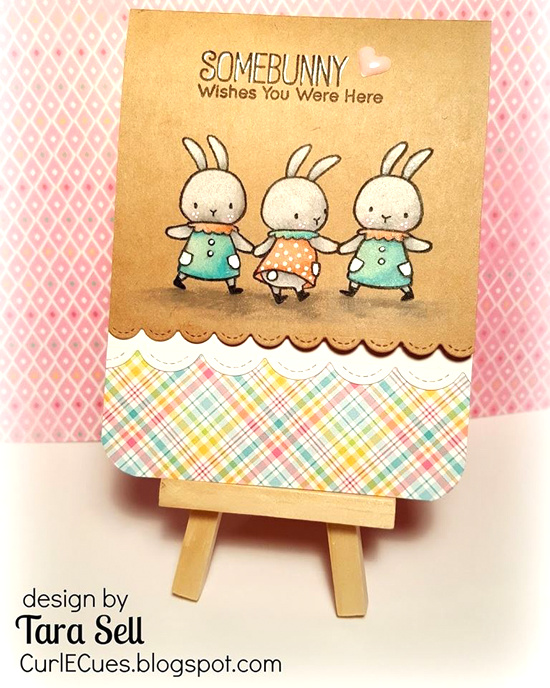 Tara submitted her card using the Somebunny stamp set and Die-namics for MFT Color Challenge 40. 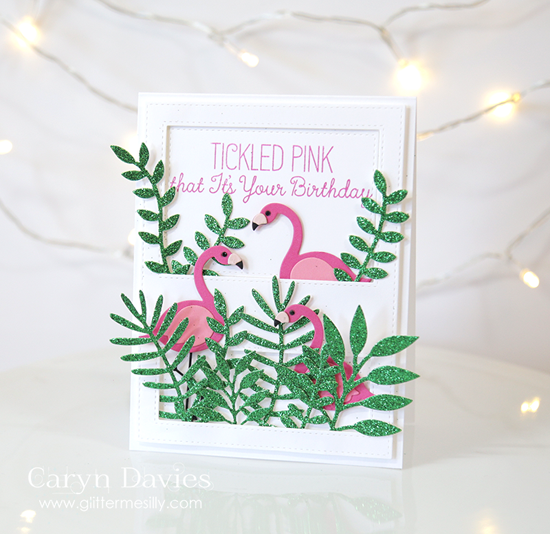 It's the perfect colors for an Easter-inspired card! I super love the shadowing she created beneath the trio of cute dancing bunnies. Thanks for using MFT, ladies! You've left us inspired, and that's what it's all about! See you tomorrow for another great Sketch Challenge, and look for the next MFT Color Challenge this Thursday, March 24th! OMG these are all so ADORABLE!!! Love those bunnies. Terrific cards, ladies.